One 12 gram scoop is average dose for 150 pound person. Take more or less according to your weight (about 1/3 scoop per 50 pounds of body weight) Take in the morning mixed in water. …Finally, I had something to feed my patients to heal them from the inside out. 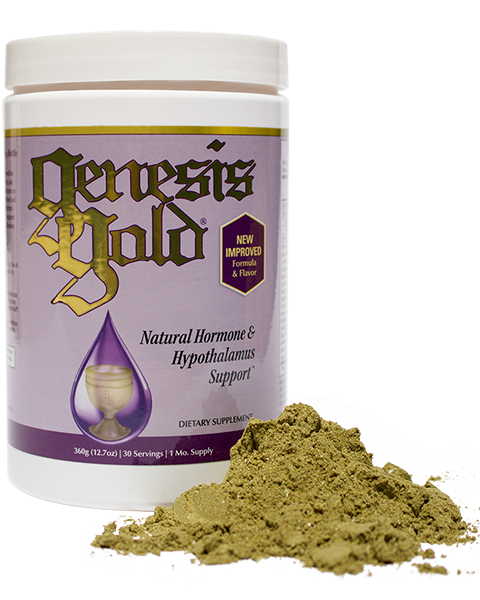 Genesis Gold is the foundational formula I was searching for to fill in the micronutrient holes in my patients’ diets to optimize their hypothalamus, to balance their hormones, neurotransmitters, and immune function, to improve their digestion and absorption, to optimize their detoxification pathways and energy production. Genesis Gold became the Yellow Brick Road that led my patients and me to optimal health…..
© Copyright Transformations Life Coaching. All Rights Reserved.